ESA becomes consortium member of EU funded project 'Women Innovators in Social Enterprise' in Greece! WiSE is an EU funded programme for 3 years (2013 -2016), to train and support women to set up business in Greece, Spain and Croatia. WiSE consortium includes leading academic institutions ESADE University Barcelona and St Gallen University Switzerland, with European Sustainability Academy (ESA) Crete representing Greece. The WiSE programme will produce a unique business management and leadership training programme which combines online learning, workshops and peer group support network. ESA founder Sharon Jackson said "We are delighted to be a partner in this programme. It is well documented that women entrepreneurs can be effective drivers for economic growth. In Greece this study indicates a number of barriers which discourage women from setting up business. The WiSE programme will prepare Greek women to overcome these barriers and at the same time provide evidence and written papers to challenge the barriers at policy level and cultural level. This project is important and very timely for Greece". The European Sustainability Academy (ESA) in Drapanos hosted the debut performance in Crete, of famous Brooklyn hip-hop DJ, producer and composer GRAMATIK. 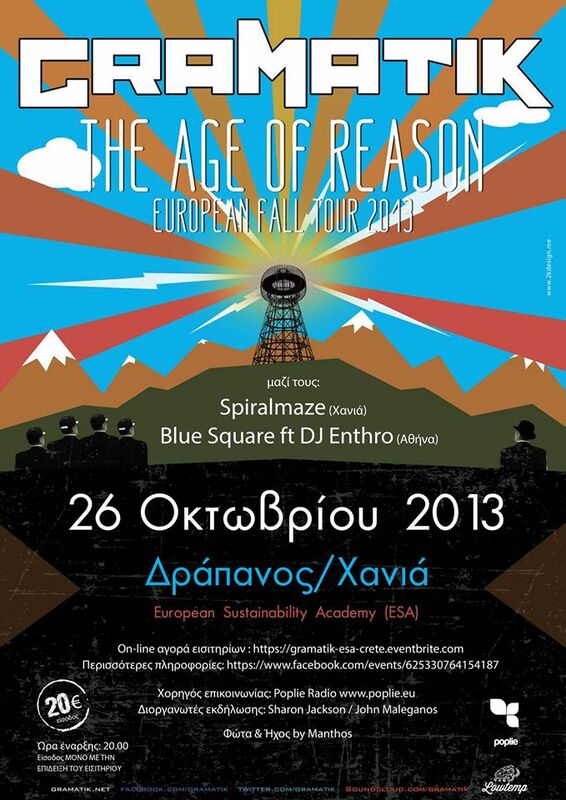 The FIRST..... OFF-GRID..... ECO -MUSIC event in Crete with Solar- Beatz - music power from the sun! September 2013 was the inaugural 'ESA Women Empowerment Global Summit' This 2.5 day program was jointly organised by Carolina Rodrigues Barros, founder of 'Dare to Glow' and Sharon Jackson founder of ESA. ‘Dare to Glow’ is an international personal development and female leadership consultancy in Geneva. This event for 'UNLOCKING WOMEN'S POTENTIAL TO CREATE INNOVATIVE SOLUTIONS IN CHAOTIC TIMES' will become an annual ESA event and award ceremony. 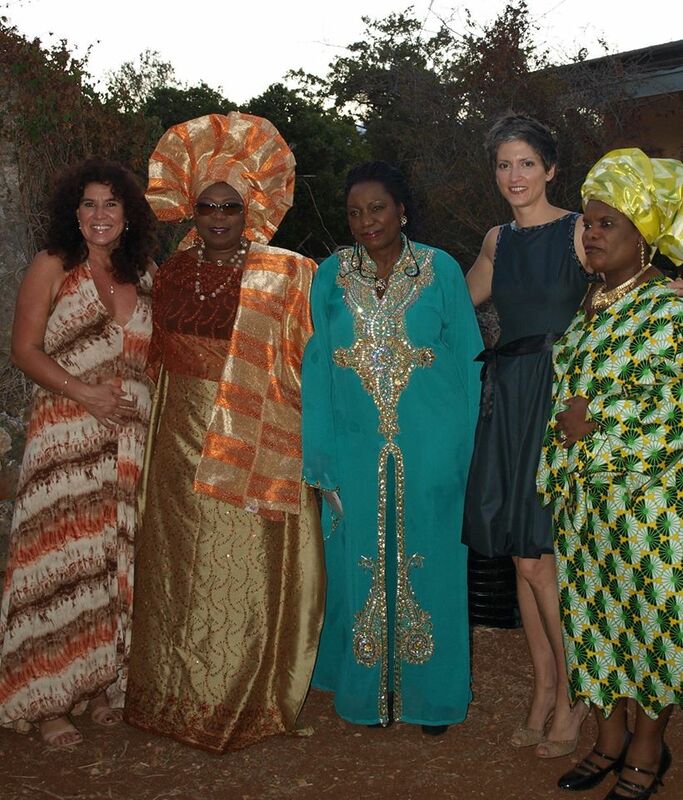 The event was attended by African Royals Muzvare Betty Makoni of Zimbabwe and Princess Duen Adedoyin of Nigeria. Three African princesses, Betty Makoni, Deun Adedoyin-Solarin and Toyin Onagorywa arrived in Chania, guests of ESA to take part in the Women Empowerment conference at ESA. 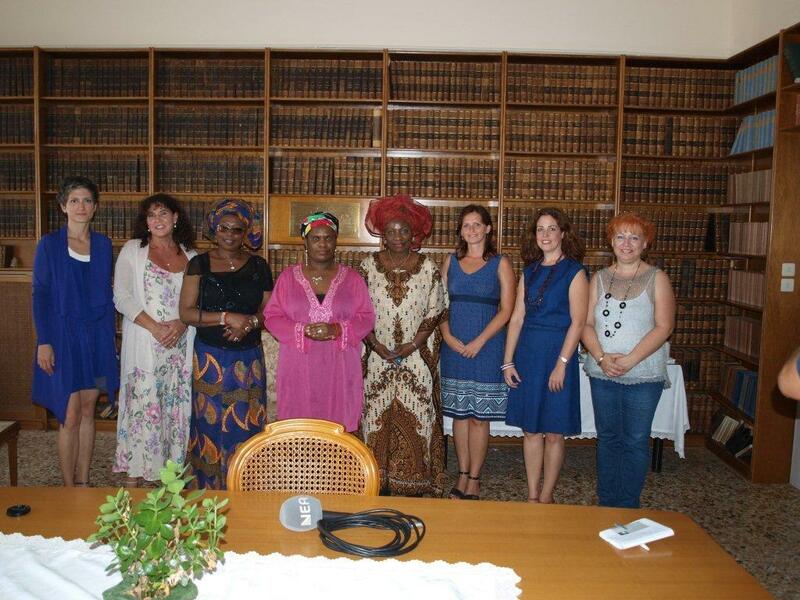 Before the summit, the princesses visited the Orthodox Academy of Crete with ESA director Sharon Jackson. Tess Finch-Lees, one of the presenters at the Women Empowerment summit writes about meeting Betty Makoni at ESA. 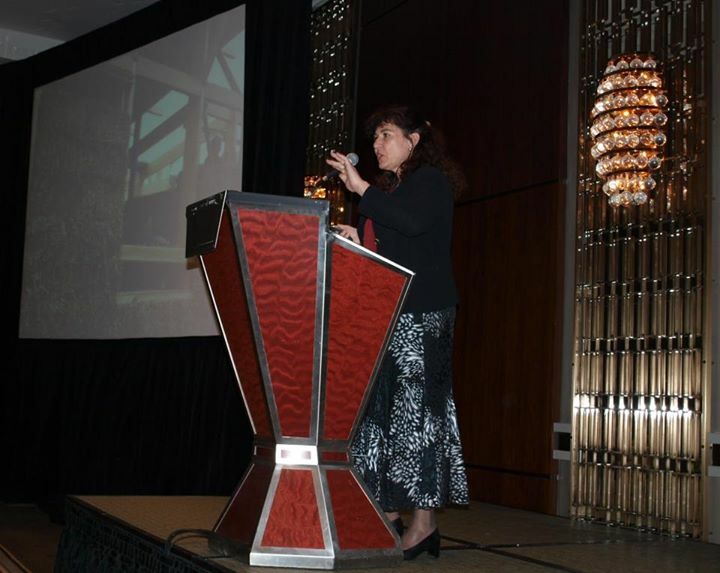 Sharon Jackson speaking at the Charities@Work annual summit, New York, about sustainable construction in Crete. ESA Director, Sharon Jackson, will be a guest speaker at 'Unlocking Local Wealth' a one day workshop with world experts on alternative currencies and exchange systems. Monday 11th March at University of Cumbria Ambleside, Lake District campus. Sharon will present the latest activities of currency and solidarity networks in Greece and give a brief report on the Drapanos Declaration. The event is organised by IFLAS in association with the New Economics Foundation and UN Non Governmental Liaison Service. The event is FREE but booking is essential. ESA Founder and Director Sharon Jackson, is delighted to accept an invitation to be become an Associate Scholar at the newly formed IFLAS. This association marks the next stage of collaboration between ESA and Director of IFLAS Professor Jem Bendell and his team, in developing a community of knowledge sharing and experiential networking interventions to support the development of alternative currency and exchange initiatives. In particular, the collaboration aims to gain deeper understanding about the development of community currencies and exchange systems in Greece and to understand the barriers and enhancing mechanisms for successful initiatives. With a wealth of combined experience and expertise in sustainability management, leadership teaching and research, the ESA and IFLAS collaboration can make a positive and practical contribution to the emerging phenomena of alternative currency mechanisms in these times of economic turmoil and change. The collaboration aims to provide knowledge sharing, experiential support group and networking interventions. With a Greek focus, ESA aims to contribute to the up-skilling, enhanced management and sustainability of community currencies and exchange systems through local co-operative partnerships. The 2 hot business management topics of embedding sustainable business principles and executive burn- out are at the heart of these new executive leadership retreats. 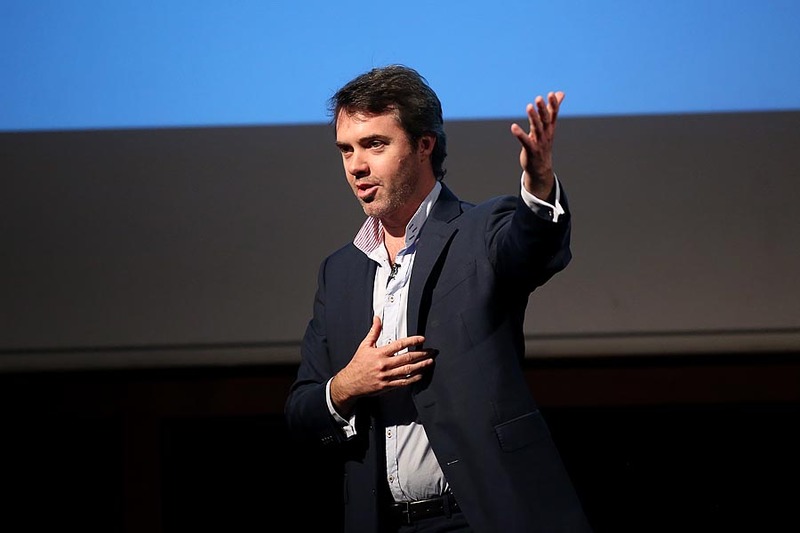 At ESA we are very excited about our collaboration with Toby Webb, founder of Stakeholder Intelligence and Ethical Corporation. This partnership has led to the development of a powerful, highly effective and unique leadership retreat. From attending this intense, experiential 3 day programme, participants will gain new skills and new knowledge to catalyse and drive change in their businesses without exhausting themselves. 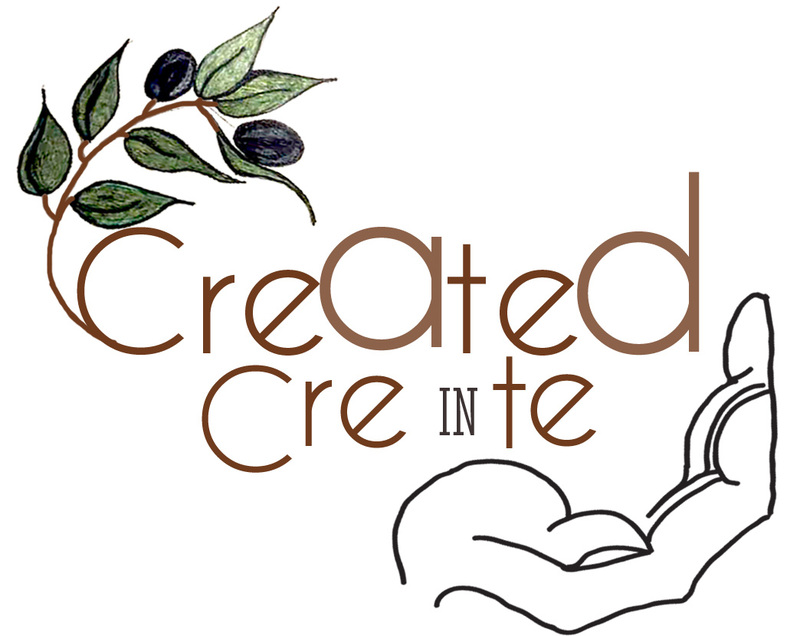 Bookings are being taken NOW for the first retreat 23rd – 26th May in Crete. To ensure a personal and intimate learning experience the groups will be small. Places are limited so please let us know soon if you would like to reserve your place. Contact ESA for a booking form. Download the brochure here (pdf download approx 900k). Drapanos Declaration (DD) is open for general endorsement and signatures continue to be added. 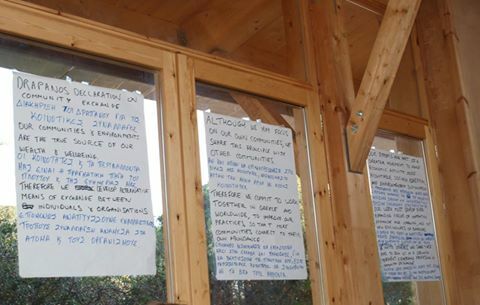 The drafting of this historic commitment for collective professionalisation of community currency systems was led by Professor Jem Bendell (IFLAS) and Giannis Grigoriou, co-founder of TEM Volos. The Drapanos Declaration represents a commitment to co-operative action at the end of the ESA Sustainability summit in October 2012. ESA and academic collaborators have since started work to develop case studies of community currency systems in different countries to help understanding about the drivers for these initiatives and the different challenges and enablers to setting up and managing sustainable alternative currency mechanisms. 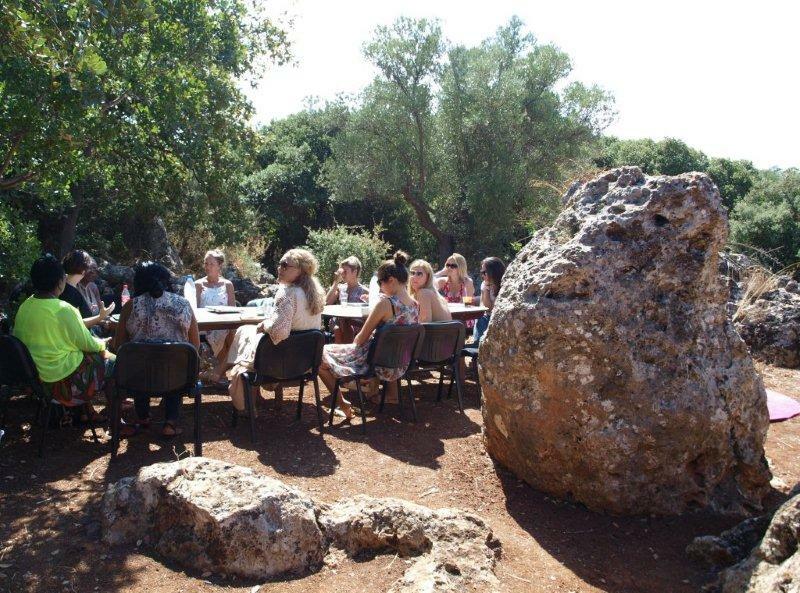 During 2013 members of Greek TEMs will be invited to contribute to informal peer group learning and knowledge exchange seminars which will offer access to international expertise to support them with developing their own initiatives. SEPTEMBER 28th 2013 will celebrate DD 1 year on with a currency workshop at ESA. For more information about DD on community currencies. 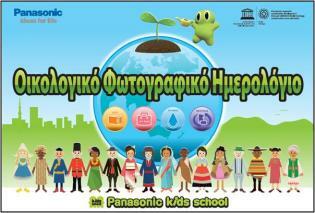 ESA is thrilled to act as the Greek partner for Panasonic 'Kid school –Eco Learning'. 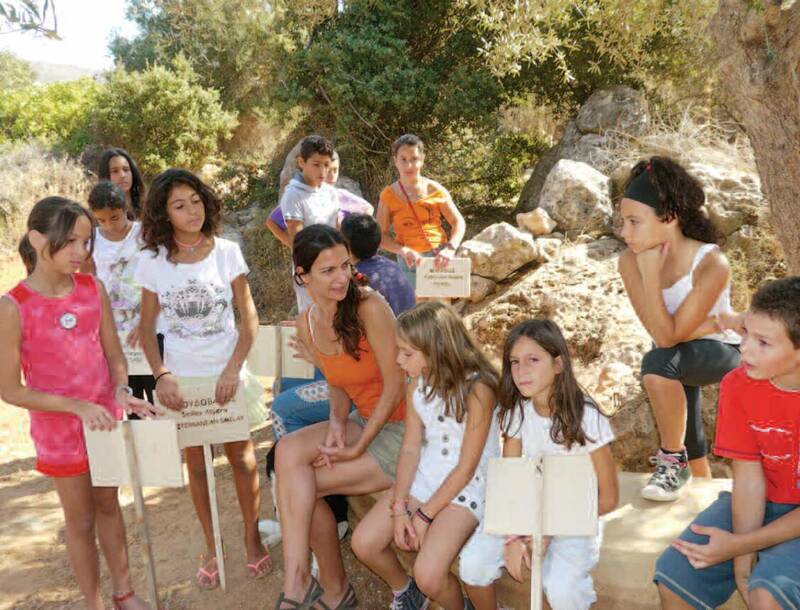 ESA's 'Eco-Kids' Programme Manager, Melita Lazaratou will lead the initiative of introducing the programme in Greek schools, starting with schools in Crete which are close to ESA. Melita has many years experience in delivering similar programmes in Greek schools for teaching children about compassion and care for companion animals. Greece is the latest of 19 countries to participate in this Panasonic eco education programme. The initiative was launched at ESA International Sustainability Summit, October 2012. The first activity was identifying local flora and fauna in the ESA grounds. The children made name signs in Greek English and Latin and learned about each of the species as they named them. This learning programme was developed by Panasonic and NGO Foundation for Environmental Education (FFE) especially for primary school children between the ages of 7 and 11. The 'kids school – eco learning' education programme gives pupils the opportunity to learn about climate change and protecting our planet in an easy-to-understand and playful way.